Four European life science clusters that are consortium partners in the “Excellence Cluster for Regional Improvement” (ECRI) project participated in the Cluster Partnering Event that was held on 25 October 2018 in Brussels, Belgium. The ECRI project is one of the five projects that are currently funded by the European Cluster Excellence Program. The ECRI partners (Bioib, BioPmed, Klaster LifeScience Krakow and HBio) work together to achieve cluster management excellence and to promote trans-cluster cooperation. 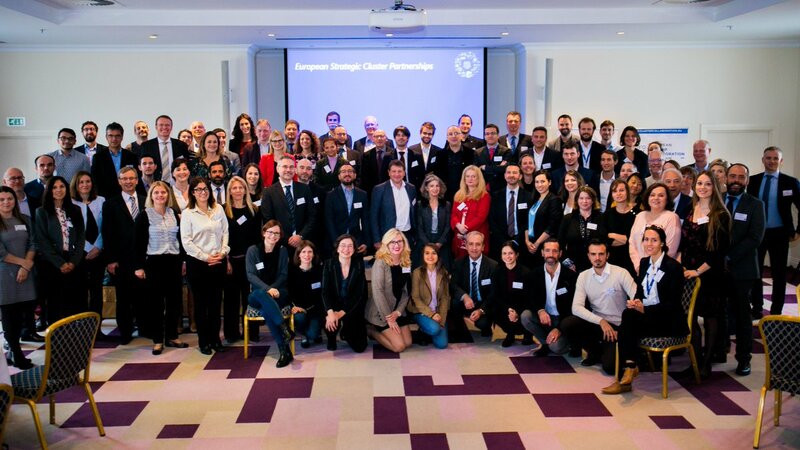 The Cluster Partnering Event brought together all the European Cluster Partnerships supported under the European Commission’s COSME and Horizon 2020 programmes for the first time. These cluster partnerships represent and reach out to around 40,000 small and medium-sized enterprises (SMEs). This included 45 European Strategic Cluster Partnerships (for Going International, Excellence and Smart Specialisation Investments) and 13 INNOSUP-1 cluster projects for new industrial value chains, which are on track to channel innovation support to over 2,000 SMEs. The participants discussed how to shape the next generation of EU cluster initiatives proposed under the draft Single Market Programme. Through electronic voting, conference participants called for a funding mix of bigger and smaller cluster partnerships, and for focusing activities on internationalisation, innovation uptake and scaling-up of SMEs.